Big data has offered so many promises and potential solutions to effective audience understanding and targeting; but has it delivered or is it just causing data-blindness? 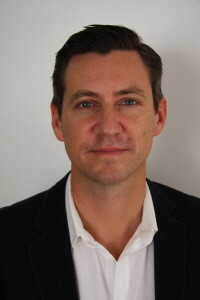 ExchangeWire speak with David Shiell (pictured below), CEO, House of Kaizen about how business intelligence can help to transform the management of big data. Several years ago, McKinsey Global Institute sparked excitement with its prediction that retailers would soon be utilising big data so effectively that they would increase operating margins by more than 60%. More recently, McKinsey asked analytics leaders from major companies what degree of revenue or cost improvement they had achieved through data optimisation. The answer? 1%. The fact is that businesses are still way behind the curve when it comes to ingesting, configuring and transforming data into something readable and useable. For many, big data still equals bigger headaches. But digital marketing agencies are finally making some much-needed headway and are optimising and monetising data. According to a survey by 2nd Watch, 86% of marketers said their company is either using, or planning to use, big data to support their digital marketing efforts. Additionally, nearly three-quarters of those using big data to support digital marketing said their efforts have either been “quite” or “extremely” effective, and 83% said it’s likely that they’ll expand the use of big data to support marketing campaigns. So, the intent to use data in a much smarter way is there. It’s critical for agencies to invest in robust data infrastructure to manage and grow both their own, and their client’s, business. Digital marketing agencies need to manage and store data more efficiently. However, compiling data from literally hundreds of data sources, ready for re-configuration, transformation, and extraction into a central repository that’s readable and capable of interrogation, can be a huge drain on a company’s resources (financial and human). So, to help drive internal support, some basic calculations can provide the insight to drive such investment. So, a seemingly mundane, yet critical, task was costing the business £150k+ a year, and this didn’t even begin to quantitate the emotional consequence: overworked and stressed staff! The above calculation, and other internal KPIs, became core to the business case for the funding of a BI system such as Cortex. This was before we even assessed the benefits to our clients. I want to stress this: the primary function of Cortex was for the agency first. The clients were an interdependent, yet secondary, priority. Getting our house in order became the key focus. Other, more advanced, usage allows it to also power advanced dynamic creative optimisation and content personalisation strategies that drive acquisition, activation, and retention. If you achieve this, not only do you turn plain data and insights into true usable business intelligence, but you will also solve other key management issues such as maximising resource efficiency (utilisation), creating profit centres from what once were considered costs centres and, even more importantly, evoking happier and more insightful and productive staff. Like most areas within our industry, however, having the right tools is not enough. To really exploit and utilise data efficiently, agencies need to build a foundation of analytics within their culture. Someone must own and lead this. Digital marketers need to understand how important the smart use of data can be to brands, the consumer, and to their own business. Clients also need to understand how transformational advanced data management and reporting systems can be. They may cost time, effort, and money to adapt to, but are critical in achieving long-term goals. At House of Kaizen, we are at the early stages of this process. On-boarding all existing and new clients into our BI system and helping clients to begin the journey of self-discovery and wonder at what can be achieved through such technological advancement. One such client currently produces nine different reports (manually via disparate data downloads) per month. It takes them and their agencies a vast amount of collective time to collate this, often with errors due to duplication, data discrepancies etc. Our goal in this instance is to help the client see that there is a better way to not only unite this data, but to extract insight whilst creating significant efficiencies for both them and their suppliers. 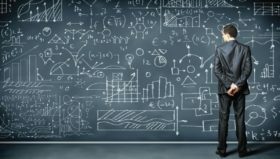 What’s next for the intelligent use of data in digital marketing? Look out for further examples of how data is being used to drive content personalisation, allowing websites to morph into thousands of different conversations to adapt to an individual user’s needs. Agencies will also move into higher level predictive and, eventually, prescriptive analysis. This is where our beloved Cortex is headed. Our mission is to be a pioneer in the frontier of prescriptive analytics, exploring the relationships that exist between the various data sources and acting on how to exploit those to the benefit of our KPIs (i.e. “Which lever do I pull and when?”). Data management systems will become even more prominent in the driving of programmatic advertising by uniting real-time insight and bidding with programmable algorithms to drive further automated efficiencies in our quest to reach audiences at the right time with the right message across any device. With rapidly advancing tools and organisational change, could we finally bid farewell to spreadsheets and pivot tables? Only time will tell, but at House of Kaizen we remain optimistic that with less of the ‘doing’ we can focus on the ‘thinking’. To do that, BI is the only way forward.